Estimated Read Time: 5 Minutes. Large watersheds, rivers, and lakes in the Cowichan Valley Regional District (CVRD) such as Cowichan River, Koksilah River, Somenos Lake, Shawnigan Lake, Chemainus Lake, and on the west coast, the Nitinat River have been headline news for a variety of watershed issues. River and estuary flooding has been one of the primary concerns, as it has impacted homes and properties in the CVRD. Flooding risk in the CVRD is a reality. Inland flooding has been an issue in the Somenos area, Duncan, North Cowichan, and on Cowichan Tribes lands. Extreme river flows and coastal water levels are both anticipated to rise as a result of climate change. With increased seasonal rainfall, high water levels will increase water levels in the lower Cowichan and Koksilah Rivers, and existing flood levels will worsen. The Sh-hwuykselu (Busyplace) watershed between the Cowichan River and the Koksilah River has also experienced flooding, in particular, at Miller Road and near the Trans-Canada Highway. How can we manage rain and flood waters affecting communities in the CVRD so that our homes and communities remain safe from flooding and erosion? A solution may start with some examples of effective collaboration and partnership amongst local governments, First Nations communities, stewardship organizations, businesses, developers, and citizens to address water and watershed management issues. Local land trusts and conservation organizations, with senior government assistance, have purchased low-lying farmland to provide a ‘retreat’ that accommodates seasonal flooding but that also sustains agriculture during dry seasons. The seasonally flooded agricultural lands also provide valuable habitat for wildlife. CVRD, in partnership with Cowichan Tribes, is developing the Sh-hwuykwselu (Busyplace) Stormwater Management & Mitigation Plan. A dike system is being raised and extended to ‘protect’ existing neighbourhoods in flood prone areas. Pump stations have been installed to remove rainwater from within the dike area to protect residential areas, schools, recreational facilities, and the Trans-Canada Highway. ‘Dry Flood Proofing’, which means that all areas below the flood level are waterproofed, is being integrated into some new developments within the floodplain to better accommodate a potential dike breach. Recent neighbourhood planning initiatives are in the process of updating land use and infrastructure strategies to improve urban design and livability of the overall community based on flood hazard risks. Public education and awareness on flood hazards and managing risks is being implemented. A broad partnership for the future is key to developing ways to move forward to manage flooding and erosion risk in the CVRD. The proposed regional Drinking Water and Watershed Protection Service would facilitate partnerships amongst all levels of government, key stakeholders, and communities so that information is shared so we can make better decisions about our growth and how we use our land. As a region, we need a forward-thinking approach – one that works collaboratively across boundaries to address common issues. Non-profit organizations such as the Cowichan Watershed Board , the Shawnigan Lake Society, and the Cowichan Lake and River Stewardship Society provide volunteer energy and valuable insights into our watersheds and could be a strong asset to how we plan and manage our drinking water. The CVRD may provide limited contractual service funding to such organizations, in the case where it is the most efficient use of funds. This Saturday, October 20, 2018 is the Local Government Election Referenda. 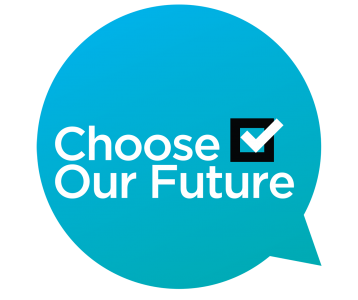 Learn more about the proposed Drinking Water and Watershed Protection Service so you can make an informed choice on your ballot. Let’s work together to address water and watershed issues in our region.